Leftovers of medications, which have not been disposed adequately in the pharmaceutical industry, cause damage to the environment and may become hazardous to people’s health as well. On the contrary, returning unexpired medications pharmaceutical producer can make a chance to sell unexpired items at reduced prices or distribute them to developed countries. Here, the customer’s role and customer’s suggested price are considered that can be as an incentive to customers in order to corporate on collecting returned items in order to promote remaining returns and make better sustainability for a Reverse Supply Chain (RSC) in pharmaceutical industry. 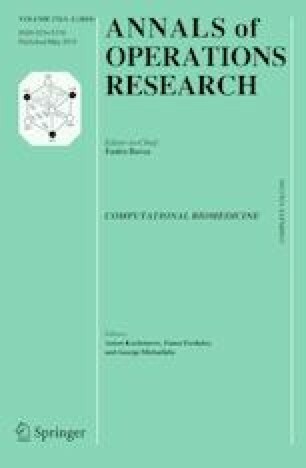 Furthermore, this paper investigated the effect of uncertainty using Robust Optimization according to the method proposed by Mulvey et al. (Oper Res 43(2):264–281, 1995) on leftover items and having a suitable accord method among the third Party Logistics firms, who are liable for collecting leftover medicines from customers, in order to maximize RSC member’s profit and having a chance to negotiate on replacement order. The numerical example demonstrated that proposed method has shown to be converged based on uncertainty in incentive of customers and could increase the amount of uncollected items. Moreover, having an adequate coordination through the RSC could give a guarantee for a full returning of medication.